We are loving this warm weather!! Oh....My sweet little baby girl has started to crawl and it makes me so sad!! She is growing up way too fast!! She is into everything and loves to explore around the house!! She is one happy baby!! 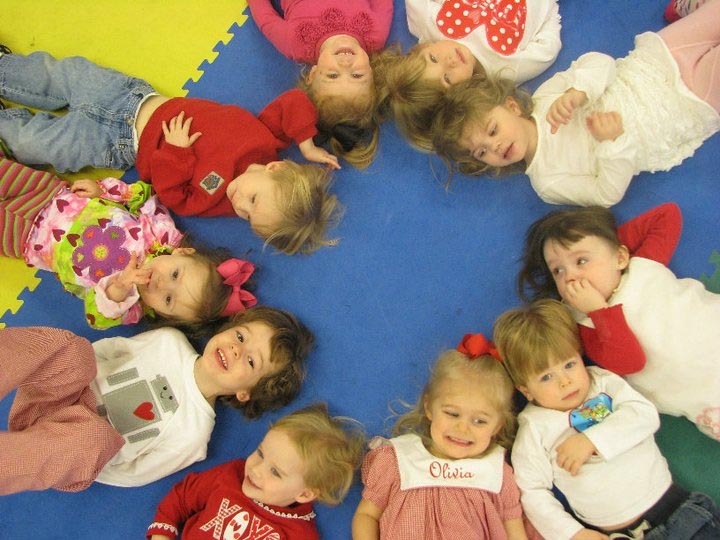 Whitten turned 3 years old in February and we celebrated with all of his buddies on March 5th. I call him "monkey" all the time because he loves to jump and climb on everything!! So, the monkey theme for his 3rd birthday party was perfect!! We had his party at the church's family life center. It was great because the kids brought riding toys and we had a huge jump house for them to jump in. Whitten had a blast at his party and especially loved having all of his friends and family there to celebrate with him!! 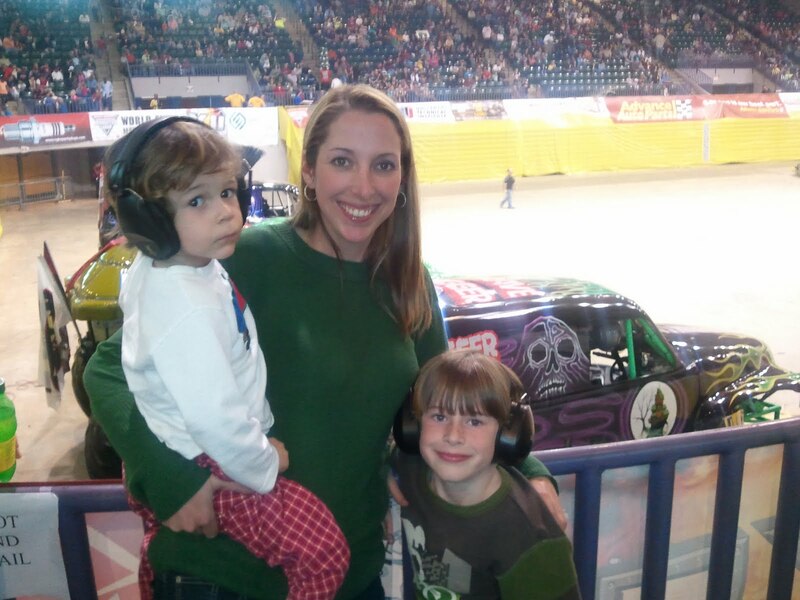 My boys love trucks!! 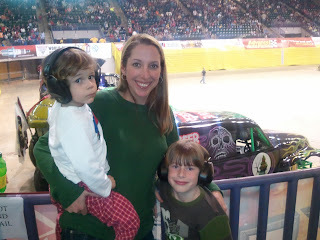 So, Michael and I took them both to see the Monster Truck Jam!! I was a little unsure of the event, but once I saw what these trucks could do, I became a fan. The boys loved every minute of it and are already talking about going again. 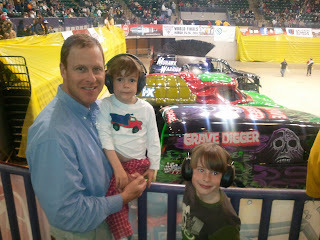 Vaiden told me during the show that he wants to be a driver of those trucks too. He told me to make sure I signed him up!! lol!! As if it was a city league sport!! HaHa!! Looking out the hotel...these are the lifts we played on all week...so fun!! Beautiful sight with a ton of snow!! Michael and I took a trip to Steamboat, Colorado about a month ago. 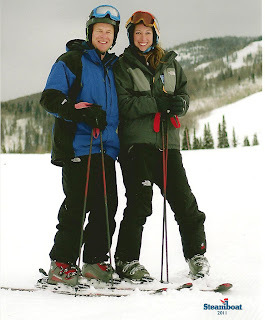 On our first day, we took skiing lessons. This was a first for both of us, but we learned quickly and then we were on our own for the rest of the week. We did great skiing and on the last day started at the top of the mountain and skiied all the way down throughout the day. We were completely exhausted, but had a blast. While we were in Colorado, we went snowmobile riding. It was so much fun!! Our guide took us through the trees and in open fields. We got to "play" in an open meadow where Michael learned that they had a limit to the speed on these bikes. The scenery was breathtaking and the snow was unreal. Us Mississippi folks don't get to see that much snow often!! Michael and I had a great "adult" trip and we are already planning a trip back to Steamboat with the kids!! At the end of last summer, Whitten was swimming like a fish. He had a great summer and really learned so quickly the basics of swimming. Since this summer will be busier for me with Mary Katharine, Michael and I decided to put him in swimming lessons early, so he can learn how to swim before summer gets here. He is loving it!! He is doing so well and I can't wait to see how he does this summer! !